California Gov. 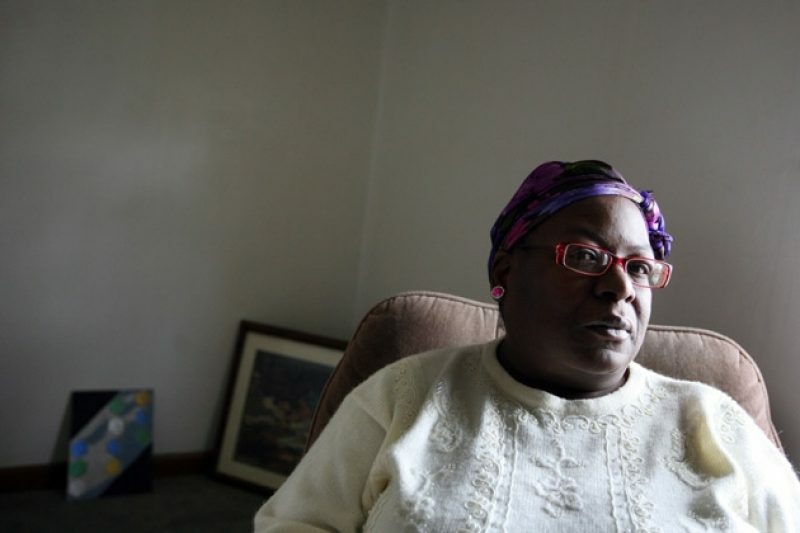 Jerry Brown today commuted the sentence of Shirley Ree Smith, a 51-year-old woman whose 1997 conviction for shaking her infant grandson to death has drawn national attention. The governor’s decision – which follows recent revelations regarding the forensic evidence used to prosecute the case – means Smith will not return to prison to continue serving a sentence of 15 years to life for felony child endangerment, a charge equivalent to second degree murder. “From my review of the information before me, including materials from the Los Angeles District Attorney’s Office, it is clear that significant doubts surround Ms. Smith’s conviction,” stated the governor in his order commuting the sentence. Brown also noted that Smith had already served an extended period in prison and had been “law-abiding” since her release as reasons to grant her clemency. Smith has been out of custody since 2006 and now lives in Alexandria, Minn., with her daughter and surviving grandchildren. She broke down after being notified of Brown’s decision. Dennis Riordan, one of Smith’s lawyers, thanked the governor. “We’re deeply grateful for the governor’s actions in commuting Shirley’s sentence, thereby saving an innocent woman from going back to serve a life sentence she should never have been given in the first place,” the attorney said. From the start, Smith has maintained her innocence, insisting that she didn’t harm her 7-week-old grandson, Etzel Glass, who stopped breathing in a Van Nuys apartment and was pronounced dead by a doctor at a nearby hospital. Prosecutors based the case against Smith on the autopsy findings of two forensic pathologists working for the Los Angeles County Department of Coroner. After discovering one to two tablespoons of blood on the child’s brain and bleeding in the optic nerve sheaths, the doctors ruled the death a homicide, concluding that someone violently shook Glass and slammed his head against an unknown object. Yet the baby’s injuries didn’t fit the pattern typically associated with “shaken baby syndrome,” a diagnosis characterized by bleeding on the brain and in the retinas, as well as swelling of the brain. During Smith’s trial, the doctor who supervised the autopsy, Dr. Eugene Carpenter Jr., advanced a unique theory, telling jurors that Glass was killed by invisible injuries to his brain stem that caused nearly instant death. Smith’s case garnered intense scrutiny due to questions about the validity of Carpenter’s theory and other medical evidence. The 9th U.S. Circuit Court of Appeals overturned her conviction in 2006, stating that there was "there was simply no demonstrable support for shaking as the cause of death." But in February, at the direction of the U.S. Supreme Court, the 9th Circuit reinstated Smith’s conviction, raising the potential for her return to prison. Early this year, Los Angeles county prosecutors asked the coroner’s office to reassess the evidence in Smith’s case. Carpenter and the office’s top doctor, chief medical examiner-coroner Dr. Lakshmanan Sathyavagiswaran stood by the homicide diagnosis. "Death is not due to natural causes and certainly not due to Sudden Infant Death Syndrome," Carpenter stated in his report. "There is no reasonable doubt as to the cause of death." But Dr. James Ribe, a veteran forensic pathologist in the office, strongly challenged the notion that Glass was murdered. In a strongly worded report, Ribe identified eight “diagnostic problems” with the case. Ribe stated that he saw scant evidence that the child had been assaulted, noting "the complete absence of bodily trauma, such as face trauma, grab marks, bruises, rib fractures, or neck trauma." The doctor’s report – first disclosed by ProPublica, NPR, and PBS “Frontline” – described the baby’s head injuries as relatively minor and said they could have been caused by the birth process. Ribe also noted the child's lungs were dotted with tiny blood spots called petechiae, which are often linked to Sudden Infant Death Syndrome and suffocation, and pointed out that Glass had been sleeping face-down on an "unsafe sleep surface" -- a couch cushion -- on the night of his death. In Ribe’s view, the homicide ruling was unjustified. “There was head trauma,” wrote the pathologist, “but we don't know when it happened or how it happened. We don't know if it's related to the cause of death. The conservative approach would be to acknowledge these unknowns. The cause of death should be diagnosed as undetermined." Smith’s attorneys obtained copies of the coroner’s office review from the Los Angeles District Attorney’s office and sent the reports to the governor. The lawyers say they are considering petitioning the state courts to exonerate Smith based on the fresh evidence that emerged during the review. The deeply divided opinions at the coroner’s office underscore the evolving scientific thinking regarding sudden infant fatalities. In recent years, forensic pathologists have become increasingly aware of ailments and conditions that can cause symptoms that mimic the signs of child abuse. Last year, ProPublica, NPR and PBS “Frontline” analyzed nearly two dozen cases in the U.S. and Canada in which people were wrongly accused of killing infants and toddlers. The joint reporting effort found that faulty medical evidence played a central role in each of the cases. At the Smith family apartment today, the mood was exuberant. Tomeka Smith – Glass’s mother – said she ran outside shouting with joy when the news of her mother’s commutation came. For Shirley Smith, the day brought a series of emotional waves. “I’m very grateful,” she said, sounding relieved.